Hayao Miyazaki’s company is one of the few animation studios to not cut costs by outsourcing jobs to India or South Korea, and that comes at a price. It’s been less than a year since Studio Ghibli founder and director Hayao Miyazaki announced his retirement, and in the interim, approximately one million rumors — largely fueled by Miyazaki himself — have flooded the Internet about the beloved studio’s impending demise. 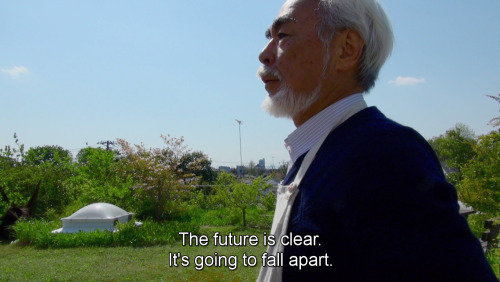 Here he is in the 2013 Ghibli documentary The Kingdom of Dreams and Madness (which is due for a U.S. release later this year), cheerfully talking about the studio’s inevitable end. And yes, sure — as much as we endlessly reboot and regurgitate and relive the myths of our childhood, universally speaking, everything has its time, and everything must end eventually. Miyazaki’s retirement was a sad day for his fans, but he is nearly 80, with a hugely successful body of work behind him, and he clearly has found some peace and acceptance. Still, in the more short-term view, it was at least encouraging to imagine that the studio he started would continue to carry on in his spirit, producing high-quality, wildly imaginative animated films created by people who grew up admiring Miyazaki’s ideals and approach to his work. Whether that “short rest” ends up being a year or 20, Suzuki’s announcement speaks more to the harsh realities of the market than anything else. (Also: Can you imagine any situation in which Marvel Studios, which is basically the cultural equivalent here, would give such a downbeat quote to the press?) The two films the studio has released since Miyazaki’s retirement — Isao Takahata’s The Tale of Princess Kaguya and Hiromasa Yonebayashi’s When Marnie Was There — were seen as commercial failures. 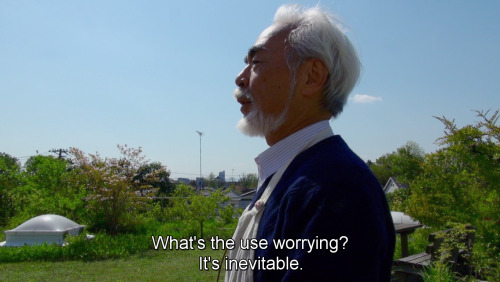 Even Miyazaki’s final film, The Wind Rises, has reportedly failed to make back its budget, despite earning to date $135 million at the Japanese box office, huge numbers for that market. (This is somewhat murky, as Wikipedia lists The Wind Rises’ budget as $30 million.) Miyazaki’s films all reliably dominate the Japanese box office — four of the top 10 grossing films of all time there are his — and his stepping down is a huge blow to Ghibli’s revenue generation. It’s crazy that it’s possible to be the best at what you do and reliably financially successful and still not be sustainable. Unless Ghibli is secretly paying for lavish Fijian getaways for all its employees, it’s sad to know the studio’s overhead is so prohibitive. A big factor in the exorbitant cost of creating a Studio Ghibli feature is that it is one of the few animation studios to not outsource jobs to India or South Korea (a practice adopted by most major studios, as it can drastically reduce budgets). Studio Ghibli animators are all under one roof keying and inbetweening, in close, constant consultation with the director. Here’s a glimpse of that dynamic from a behind-the-scenes documentary on the Spirited Away DVD, a far cry from Pixar’s gleaming NorCal adult playground. When Walt Disney Animation announced it was closing its hand-drawn department in 2005, the word “obsolete” was used frequently to describe the medium, which only 10 years prior had been in the midst of a nearly unanimously recognized renaissance. But hand-drawn animation will never really be obsolete because obsolescence is something that happens to iceboxes and horse-drawn carriages, not art. Studio Ghibli’s search for a game plan and financial solvency doesn’t mean what it makes isn’t just as important as it was when it was founded in 1985. But the company also has to exist in the real world, where caring as much as it has comes at a price. If Japan were France or the U.K., the studio might have found a way to subsidize operating costs with help from the government by now — Ghibli’s cultural value is a pretty easy argument to make — but such practices are less common in Japan. Whether Ghibli comes back from its hiatus or not remains to be seen, but if it continues as merely a copyright-holding entity, that presumably includes the Ghibli Museum. If nothing else, please, please, keep the Ghibli Museum open. 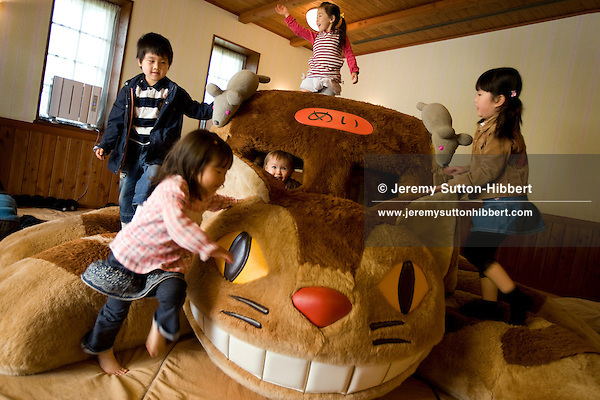 If the babies of the future don’t have a giant furry catbus to crawl all over, our civilization is truly doomed.